George Forbes of Forse Lybster died 29th October 1938. 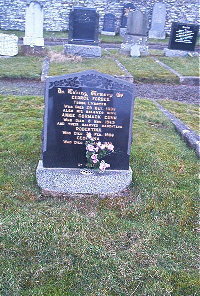 Wife Annie Cormack Gunn died 8th November 1969. Daughter Robertina Forbes died 28th February 1986. Daughter Georgina Forbes died 27th January 1983.